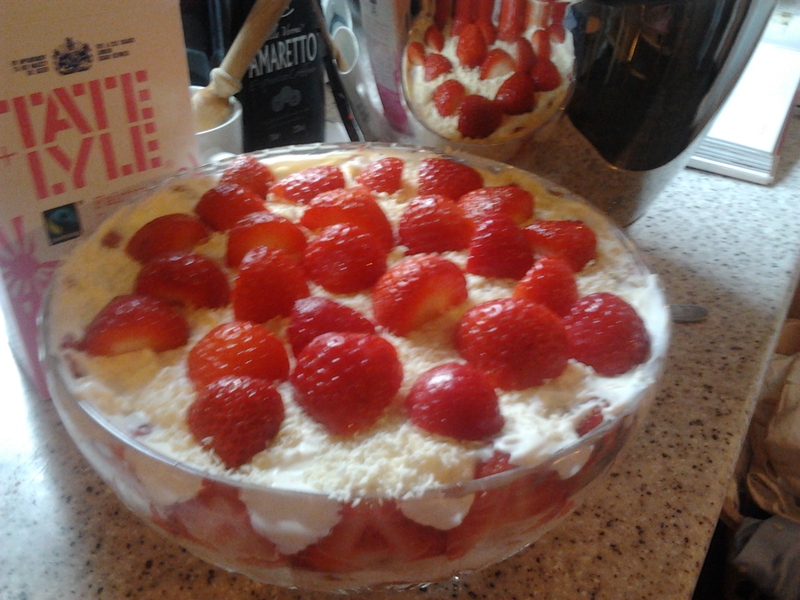 Lorraine uses a massive straight-sided trifle dish for this recipe. This year’s challenge has already cost me quite a bit (mostly in alcohol and expensive meat!) and I thought buying a big trifle dish for one recipe might be a bit unnecessary. So I halved the ingredients and used a standard bowl-shaped trifle bowl (yes a bowl-shaped bowl – I don’t know how else to describe it). This trifle is a complete cheat because it contains no custard. Instead you make a chantilly cream by whipping cream with icing sugar and vanilla. The layers in the trifle are shop-bought madeira cake (such a good idea, it’s delicious) brushed with Ameretti liqueur, halved strawberries arranged around the edge (see pics below), crushed amaretti biscuits, chantilly cream up to the top of the strawberries and grated white chocolate. 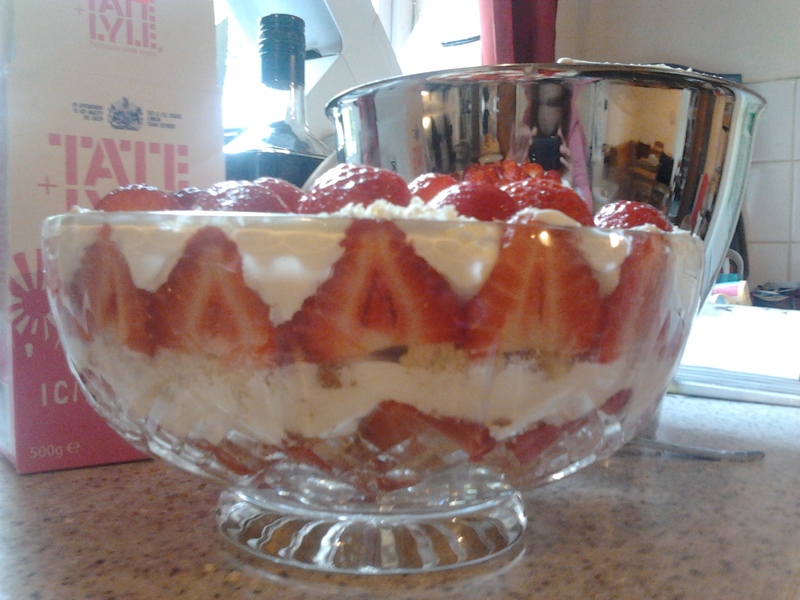 Continue until the bowl is full (only two layers in my case) and top with more strawberries. It tasted quite light surprisingly, given how much cream is in it. And it looked good too. I actually made this back in September, while there were still some good strawberries about.